BA, Harvard; MA, PhD, Chicago. Piano study with Kate Friskin, Longy School. 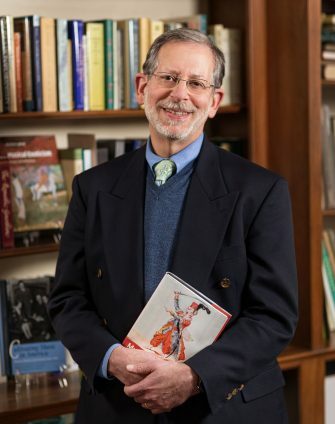 Editorial Board member, Journal of Musicological Research, Ad Parnassum: A Journal of Eighteenth- and Nineteenth-Century Instrumental Music; Nineteenth-Century Music Review; and Journal of Music History Pedagogy; senior editor, Eastman Studies in Music; music editor, Encyclopedia of New York State. Faculty associate, University of Rochester’s Susan B. Anthony Institute for Gender and Women’s Studies. Author, Music, Musicians, and the Saint-Simonians and Musical Exoticism: Images and Reflections. Co-editor, Cultivating Music in America: Women Patrons and Activists since 1860. Music criticism, musicological articles, and reviews on American musical life and on Berlioz, Liszt, Saint-Saëns, Schumann, Loeffler, Copland, Virgil Thomson, Bernstein, and other composers in Cambridge Opera Journal; Fontes artis musicae; Revue française de musicologie; 19th-Century Music; Journal of the American Musicological Society; Opera Quarterly; MLA Notes; Pendragon Review; Journal of the American Liszt Society; Mendelssohn and Schumann Essays; Music in Paris in the 1830s; Music and Society: The Early Romantic Era; Les Saint-Simoniens et L’Orient; En travesti: Women, Gender Subversion, Opera; The Work of Opera; The Nineteenth-Century Symphony; Edward Said and the Work of the Critic: Speaking Truth to Power; Liber Amicorum Isabelle Cazeaux; Liszt and His World; Musique, esthétique et société au xixe siècle; Händel’s Opern: Das Handbuch; International Musicological Society (IMS) Conference Proceedings (1982, 1992, 1997); New Grove Dictionary of Music and Musicians; New Grove Dictionary of American Music; New Grove Dictionary of Opera; New Grove Dictionary of Women Composers; New Harvard Dictionary of Music; American National Biography; Encyclopedia of New England Culture; Dictionnaire Berlioz (Prix de l’Académie des Beaux-Arts); Dictionnaire de la musique en France au xixe siècle (MLA Vincent H. Duckles Award); and Encyclopaedia Britannica. Scholarly adviser to the Rochester Philharmonic Orchestra and Bard SummerScape. Recipient, Galler Prize (1980), MLA Prize for bibliography (1981), ACLS Fellowship (1983), National Endowment for the Humanities Summer Stipend (1988), National Endowment for the Humanities Fellowship (2006-7), American Musicological Society and Society for American Music Society Publication Subventions (1986, 1997), Bridging Fellowship (1990), Music and Letters Award (2002), ASCAP-Deems Taylor Award (1992, 1996, 1999, 2003, 2007). H. Colin Slim Award (American Musicological Society, for 2005 article on Aida), Ruth Solie Award (American Musicological Society, for 2009 book in which he authored a chapter on Spanish music in Bizet’s Carmen). Musical Exoticism (2009) was a finalist for the American Musicological Society’s Otto Kinkeldey Award. Faculty member, Eastman (1975-). Music and the Exotic from the Renaissance to Mozart. Cambridge: Cambridge University Press, 2015. Also available as an e-book. The book was one of two to win an Honorable Mention in the 2016 PROSE Awards (for “Professional and Scholarly Excellence”)—presented by the American Publishers Association—in the category Music and Performing Arts. Musical Exoticism: Images and Reflections. Cambridge: Cambridge University Press, 2009 (corrected paperback 2011). Cultivating Music in America: Women Patrons and Activists since 1860, contributing co-editor with Cyrilla Barr. Berkeley and Los Angeles: University of California Press, 1997. Open-access online version: click here. Music, Musicians, and the Saint-Simonians. Chicago: University of Chicago Press, 1986. “Alessandro Magno e il Ragià indiano Puru: Esotismo in un libretto di Metastasio nelle realizzazioni di Hasse e Handel,” translated by Luana Salvarni, Musica/Realtà, no. 110 (July 2016), pp. 99-123. “Félicien David: Not Satellite but Star.” Essay (pp. 58-63) in a book accompanying the 2-CD world-premiere recording of David’s four-act grand opera Herculanum (Paris Opéra, 1859). Madrid: Ediciones Singulares, 2015. “Aida” and related entries (e.g., for Cairo and for the opera’s librettist Ghislanzoni), in Cambridge Verdi Encyclopedia, ed. Roberta Montemorra Marvin. Cambridge University Press, 2014. “Ferdinand Hiller and the Saint-Simonians,” in Peter Ackermann, et al., eds., Ferdinand Hiller (1811–1885): Komponist – Interpret – Musikvermittler, 55-71. Kassel: Merseburger, 2014. “Exoticism [in American Music],” Grove Dictionary of American Music, 2nd ed. “On Exoticism, Western Art Music, and the Words We Use,” Archiv für Musikwissenschaft 69 (2012), 318-28. “Orientalism in Music,” in the Dictionary of Literary Biography’s volume entitled Orientalism Writers (Gale/Cengage/BCL), 2012. “Editorial: Music in Community, and the Interpretation of Evidence,” Journal of the American Musicological Society 64 (2011): 255-58. “Alien Adventures: Exoticism in Italian-Language Baroque Opera,” Musical Times, vol.150 no. 1909 (Winter 2009), pp. 53–69. “Spanish Local Color in Bizet’s Carmen: Unexplored Borrowings and Transformations,” in Music, Theater, and Cultural Transfer: Paris 1830 to 1914, ed. A. Fauser and M. Everist, 316-60. Chicago: University of Chicago Press, 2009. “Unacknowledged Exoticism in Debussy: The Incidental Music for Le martyre de saint Sébastien (1911).” Musical Quarterly 90 (2007): 371-415. “Liszt on the Artist in Society,” in Franz Liszt and His World, ed. C. H. Gibbs and D. Gooley, 291-302. Princeton: Princeton University Press, 2006. “Aida and Nine Readings of Empire.” Nineteenth-Century Music Review 3 (2006): 45-72. “Aaron Copland: Two Interviews (1970, 1972) & Three Letters” Journal of the American Liszt Society 14-16 (2003-05): 201-17. 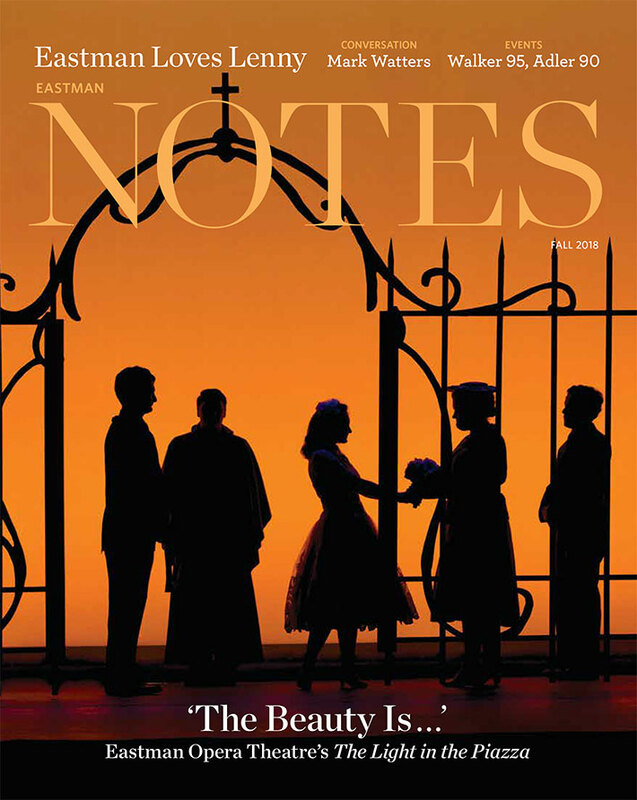 “Beyond the Exotic: How ‘Eastern’ Is Aida?” Cambridge Opera Journal 17 (2005): 105-39. Winner of the H. Colin Slim Award (American Musicological Society) in 2006. “The Border Territory between Classical and Broadway: A Voyage around and about Four Saints in Three Acts and West Side Story,” in Liber Amicorum Isabelle Cazeaux: Symbols, Parallels and Discoveries in her Honor, ed., P.-A. Bempéchat, 179-226. Hillsdale NY: Pendragon Press, 2005. “Nineteenth-Century Music: Quantity, Quality, Qualities.” Nineteenth-Century Music Review 1 (2004): 3-41. “What Chopin (and Mozart and Others) Heard: Folk, Popular, ‘Functional’ and Non-Western Musics in the Classic-Romantic Survey Course,” in Teaching Music History, ed. M. Natvig, 25-42. Aldershot: Ashgate Publishing, 2002. Awarded the 2003 ASCAP-Deems Taylor Award. “The Juice of Life: Getting Romantic with Romantic Music.” Pendragon Review: A Journal of Musical Romanticism 1 (2001): 45-60. “Exoticism and Orientalism in Music: Problems for the Worldly Critic,” in Edward Said and the Work of the Critic, ed. P. A. Bové, 257-81. Durham NC: Duke University Press, 2000. “[Berlioz:] The Religious Works,” in The Cambridge Companion to Berlioz, ed. P. Bloom, 96-108. Cambridge: Cambridge University Press, 2000. “Aesthetic Aspects of Social Phenomena in Music,” in Musicology and Sister Disciplines, ed. D. Greer et al., 209-17. New York: Oxford University Press, 2000. “Musicology and/as Social Concern: Imagining the Relevant Musicologist,” in Rethinking Music, ed. N. Cook and M. Everist, 499-530. Oxford: Oxford University Press, 1999. “Cutthroats and Casbah Dancers, Muezzins and Timeless Sands: Musical Images of the Middle East.” Nineteenth-Century Music 22 (1998-99): 20-53. Awarded the 1999 ASCAP-Deems Taylor Award. Also published in The Exotic in Western Music, ed. J. Bellman, 104-36. Boston: Northeastern University Press, 1998. “The Political Chansons of Béranger: Artistry for Progressive Social Change,” in Musik/Revolution: Festschrift für Georg Knepler zum 90. Geburtstag, ed. H.-W. Heister, 2:115-32. Hamburg: Von Bockel, 1997. “The French Symphony: David, Gounod, and Bizet to Saint-Saëns, Franck, and Their Followers,” in The Nineteenth-Century Symphony, ed. D. K. Holoman, 163-94. New York: Schirmer, 1997. “What Are These Women Doing in Opera?” in En travesti: Women, Gender Subversion, Opera, ed. C. Blackmer and P. J. Smith, 59-98. New York: Columbia University Press, 1995. “Paradoxes of the Woman Music Patron in America.” Musical Quarterly 78 (1994): 798-825. Awarded the 1996 ASCAP-Deems Taylor Award. “Women in American Musical Life: Facts and Questions about Patronage.” repercussions 3 (1994): 81-95; repercussions 4 (1995): 102. “Music Lovers, Patrons, and the ‘Sacralization’ of Culture in America.” Nineteenth-Century Music 17 (1993-94): 149-73; 18 (1994-95): 83-84. “Reflections on Orientalism in Opera and Musical Theater.” Opera Quarterly 10 (1993): 48-64. “Constructing the Oriental ‘Other’: Saint-Saëns’s Samson et Dalila.” Cambridge Opera Journal 3 (1991): 261-302. Awarded the 1992 ASCAP-Deems Taylor Award. “Paris: Centre of Intellectual Ferment [1789-1852],” in Man and Music: The Early Romantic Era, ed. A. L. Ringer, 32-83. London: Macmillan, 1990. (Released in the US under the series title Music and Society.) Awarded the 1992 ASCAP-Deems Taylor Award. “Félicien David: compositeur saint-simonien et orientalisant,” in Les saint-simoniens et l’Orient: vers la modernité, ed. M. Morsy, 135-53. Aix-en-Provence: Edisud, 1990. “The Music of the French Political Chanson, 1810-50,” in Music in Paris in the Eighteen-Thirties, ed. P. Bloom, 431-56. Stuyvesant NY: Pendragon Press, 1987. “Musique engagée? The Experience of the Saint-Simonians at Ménilmontant,” in La Musique et le rite,ed. M. Honegger and C. Meyer, 145-55. Strasbourg: Université de Strasbourg, 1986. “Mendelssohn’s Collision with the Saint-Simonians,” in J. Finson and R. L. Todd, eds. Mendelssohn and Schumann: Essays on Their Music and Its Context, 109-22, 176-80. (Durham NC: Duke University Press, 1984. “Liszt’s Saint-Simonian Adventure.” Nineteenth-Century Music 4 (1980-81), 209-27, and 5 (1981-82), 281. “New Schumann Materials in Upstate New York: A First Report on the Dickinson Collection, with Catalogues of its Manuscript Holdings.” Fontes artis musicae 27 (1980), 137-61. Co-author Jürgen Thym. “Autour de la lettre à Duveyrier: Berlioz et les saint-simoniens.” Revue de musicologie 63 (1977), 55-77, and 64 (1978), 287. “New Letters of Berlioz.” Nineteenth-Century Music 1 (1977): 71-85. Entries in New Grove Dictionary of Music, Encyclopedia of New England Culture, American National Biography, The American Historical Association’s Guide to Historical Literature, Encyclopaedia Britannica, Dictionnaire de la musique en France au xixe siècle, and Dictionnaire Berlioz.